Profiber Re-Create is for very fine or very damaged hair and includes Bergamot and White Amber, Re-Create instantly results in restored and replumped hair without feeling weighed down. 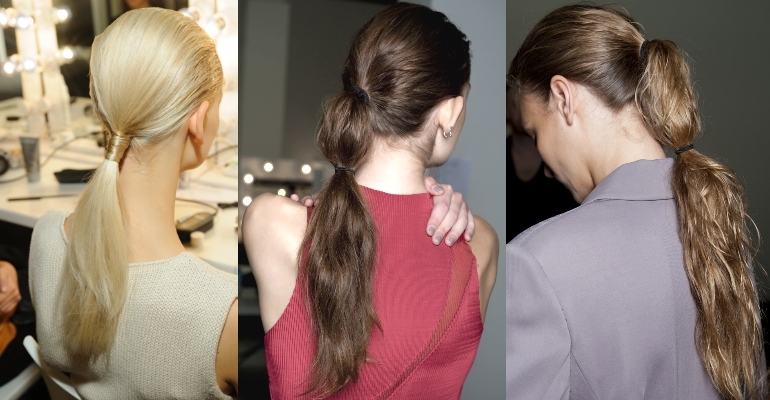 Prolong the smoothing effect of your Pro Fiber in-salon treatment by following the at-home programme. 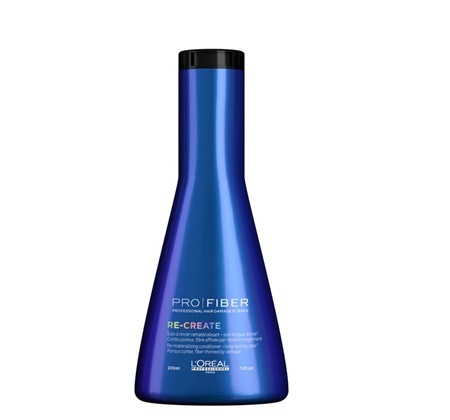 Profiber Re-Create Shampoo should be used every day alongside Pro Fiber Re-Create Conditioner and every 4th wash substitute the conditioner for the Re-charge booster. Complete the programme with the Pro Fiber Re-Create Leave-in and enjoy the benefit of your hair being protected against heat. 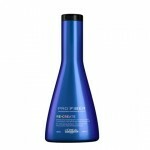 Pro Fiber Re-Create Conditioner should be used after the Pro Fiber Re-Create Shampoo and apply evenly to damp hair, rinse thoroughly. Substitute this conditioner for the Re-charge booster after every 4th wash to extend the long-lasting resurfacing effect for up to 6 weeks. For hair protected against heat try our Pro Fiber Re-Create Leave-in serum. 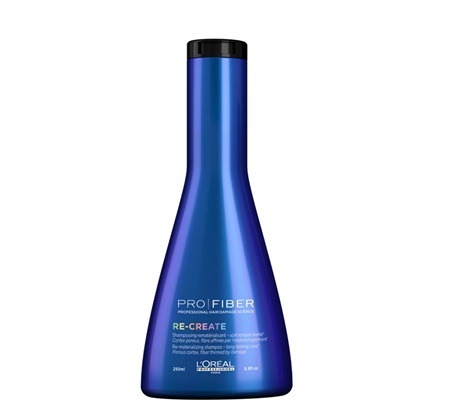 Pro Fiber Re-Create Leave-in Conditioner – Use one to two pumps, depending on your hair length and apply on damp towel-dried hair as the final step in the Recreate at-home hair care programme. The Leave-in provides a complete finish, plus protected from heat styling of up to 230°C*. 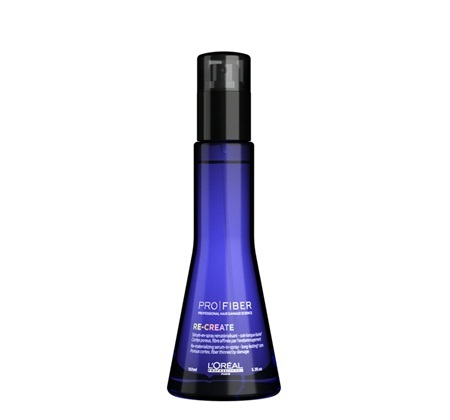 Pro Fiber Re-Create Concentrate – This treatment can only be found in-salon and is the first step in your Pro Fiber hair care programme. 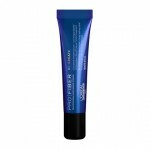 First your hairdresser will apply this concentrate, using a professional layering technique and then the long-lasting technical mask called Pro Fiber Renew, for hair that looks as if renewed. 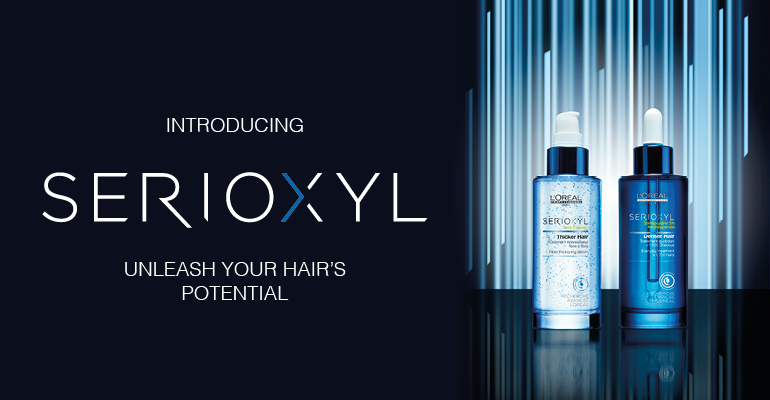 Follow up this treatment at-home with the Re-Create hair care programme and prolong the resurfacing effect for up to 6 weeks*. 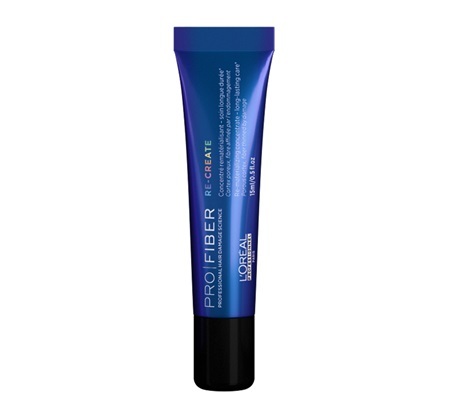 *By using the Pro Fiber at home range and applying the Pro Fiber Re-Create once a week for up to 6 weeks.